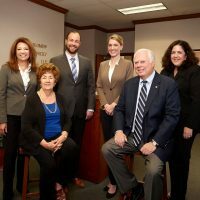 Bartholomew & Wasznicky LLP is a California divorce and family law firm with over 125 years of combined experience. Located in Sacramento, we assist clients in Sacramento county and throughout California with any and all of their family law related needs. The attorneys at Bartholomew & Wasznicky LLP are dedicated advocates of their clients and their clients’ children, and strive to make the process of divorcing your spouse easier for everyone involved.